Today is Wacky Wednesday at FireCraker Design: 50% discount on this ATC set of rubber stamps. 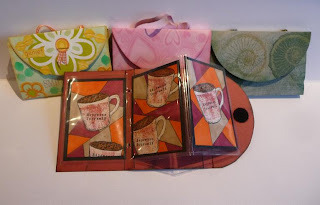 And to inspire you I have a tutorial and some ATC to share. But first: wat is an ATC? The letters stand for Artist Trading Card. It is a little piece of art on the size of a credit card. Everything is aloud:Stamping, collage etc. The only thing that cannot be changed is the size: 64mm x 89 mm or 2.5 x 3.5 inch.These cards are not for sale! You trade them with one another. Or it is the most wonderful item for swaps! The back of the card is signed with your name, date and number of cards and the name of the ATC. I made this little booklet for you, where you can insert 3 ATC's and send them for a swap in a creative way to someone else. 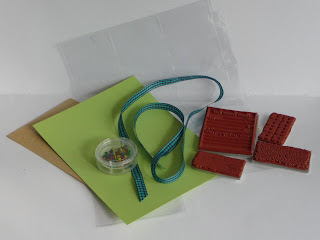 What do you need: some cardstock, ribbon, eyelet, tools for eyelets, ink and stamps. Also you need some plasic ATC 9 Pocket Page Protectors. 1. Start with cutting the plastic Page protector in 3x 3 pockets. 2. 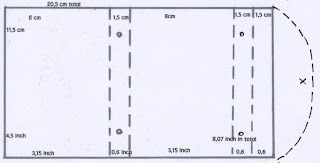 Cut a piece of 4,5 inch x 8,07 inch. 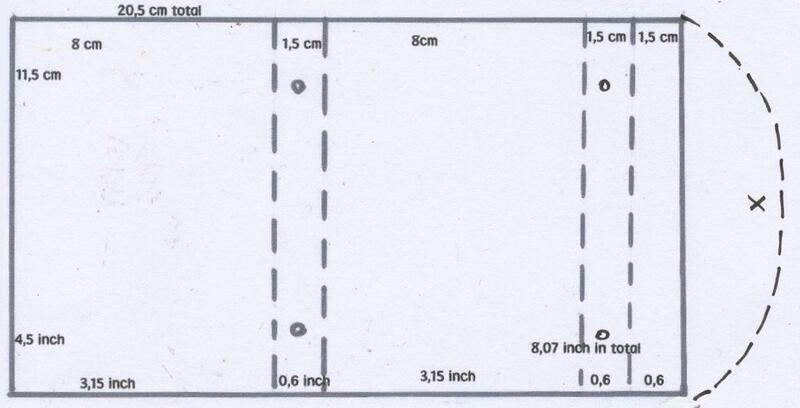 You click on the picture below to enlarge it and see the exact measurements for folding the booklet. If you like a more round flap, you can draw it to your liking on the right side. 3. In both of the small spines you make two holes for eyelets. 4. 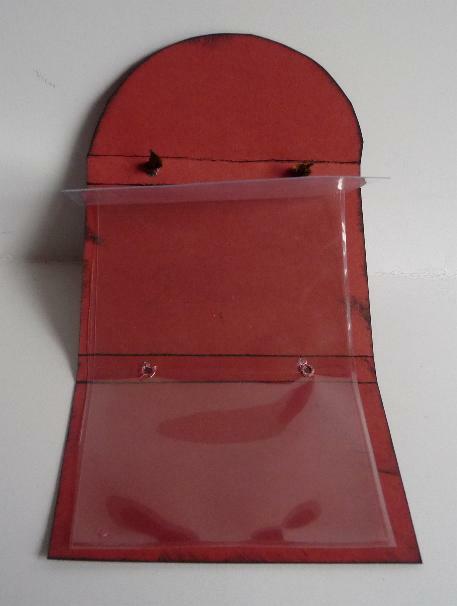 On top of the left 2 holes you lay the plastic page protector and also make some holes. Take two eyelets and fasten them through booklet and plastic. 5. On the right spine you just fasten the 2 eyelets and put the ribbon through. Make two knots on the inside of the booklet. 6. Whether you have a straight or round flap, you can close it with a magnet or some velcro. 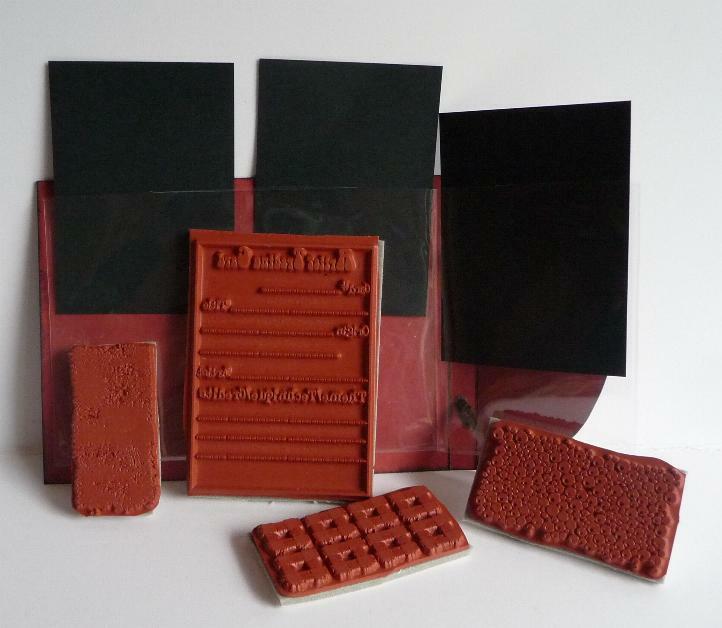 Now start stamping your ATC's to add in your booklet (purse). Here are the finished ATC's done in a Technique Junkie technique called Faux Stained Glass. 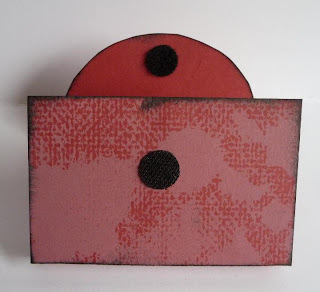 For more FireCracker Design inspiration I also have a blogpost on the Technique Junkies Blog. There is a FREEBIE to download there! I love this Hetty what a great way to present ATC's to someone :) Fabulous! OHHh great tutorial!! Beautiful album/ ATC holder! TFS! 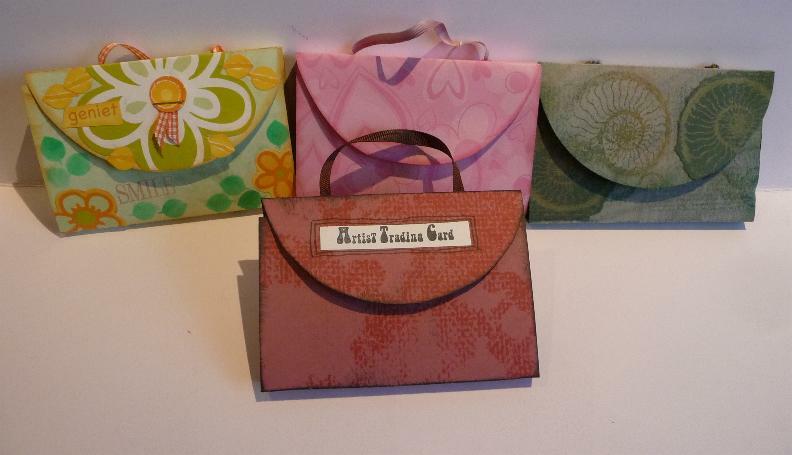 I make and trade ATC's- I love this project- thanks for the tutorial and download! Your ACT's are just awesome! 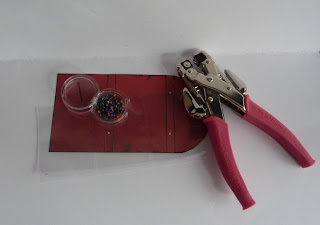 thanks for a great idea and tutorial - I'm going to make some of these! what a great little handcrafted treat! I love the tutorial and ideas gonna have to get to work! !